With each new year, there are new changes and new challenges. 2019 will be no different. This announcement is to inform you of changes moving forward with what is probably the most visible symbol of being a Magic Judge: the black Magic Judge shirt. Wizards of the Coast has stopped producing shirts for MagicFest Judges. Once the back stock has been distributed to Judges, no new shirts of this design will be available. How will these shirts will be purchased/distributed? Right now, our expectation is that the shirts will be ordered online if you are on staff and picked up at the venue. What will the shirts cost? We have been told the goal is at most $10-$15 USD, but we are waiting for a final number. What does the shirt look like? We don’t yet know. We have been told that there will be a color change in response to feedback that the “Judge Black” blends in with the crowd and decreases visibility. You said we won’t be required to wear these shirts, what does that mean? Again, details are still being determined, but the suspicion is existing Judge shirts can still be worn, and barring that, a short sleeve polo shirt of the same color can be used. MagicFest applications will contain details on the final uniform policy. Will judges not on staff be able to purchase this shirt? At this time we don’t know. Any solution would need to prevent non-Judges from being able to purchase this shirt, and that concern needs to be balanced against accessibility. Will there be other ways to get these shirts? There are many logistical details that have not been worked out. The first priority is making the shirts available at MFs. After that has been accomplished, other possibilities can be explored. When will the transition begin? CFBE is currently working on the details and they’ll soon provide more details. In the meanwhile, if you are selected to be on staff for your first MagicFest, consider reaching out to your Regional Coordinator. They will have the most current available information. The Program Coordinators, Regional Coordinators and GPHJs still believe that the Magic Judge shirt is a powerful symbol of what it means to be a judge, but we also recognize a Tournament Organizer’s prerogative to set the uniform policy for their event. The end of the “Judge Blacks” is a significant loss, and without action, we suspect that the ‘MagicFest Shirt’ will eventually become the new Judge Uniform by default. During recent months, we have also received some questions about appropriate judge attire. 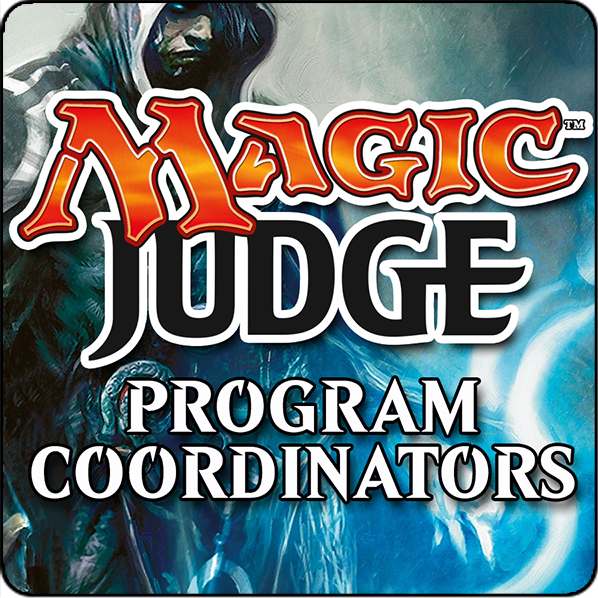 We have decided to publish some official recommendations about the Magic judge uniform. You can find these guidelines here. Since it is likely that future MagicFest events will have judges wearing different kinds of shirts, we felt that it was important to set some guidelines for the rest of the uniform. A cohesive look helps make judges clearly identifiable on the floor. Regional shirts accomplish many goals we want the Judge Shirt to have. They are accessible, and a symbol of regional unity. However, not every region is able to provide these, and they do not provide the Program wide identity that the former judge uniform did. As we go forward, we are exploring the possibilities of a Judge Program shirt for use at MCQs and other Comp REL events. However, it is too early to provide any details beyond “We are currently trying to determine the feasibility”. If you have any questions or concerns or input on how to support affordable global textile distribution, we have opened a forum thread here to discuss. We will continue to keep the community apprised of information as it becomes available.